The points you collect are redeemed for cash when transferred into a linked savings account, either manually or automatically. Transfers can be viewed on your transaction summary on the website. If you are donating all or a proportion of your points to a junior member(s), redeeming their points to a savings account must be managed by a parent or other responsible adult member. 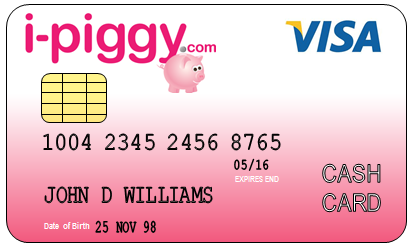 Many i-piggy retail and business partners will accept your i-piggy points as payment for goods. 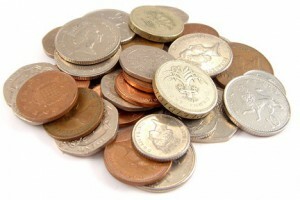 Payments must be for the whole transaction (not part payment) and will be subject to the partner’s payment conditions. If you have enough points, just present your i-piggy member card and points will be deducted from your balance. Please note that you will normally only be able use your points for payment at partners in your local town scheme (home town) – although you can earn points wherever you see the logo. The i-piggy top-up cash card is tailor-made for children and young people. With optional spending limits, (e.g. max daily & weekly withdrawals), the cash card is a safe and convenient way for children to spend as well as learn about money and budgeting. The card is topped up from redeemed i-piggy points.